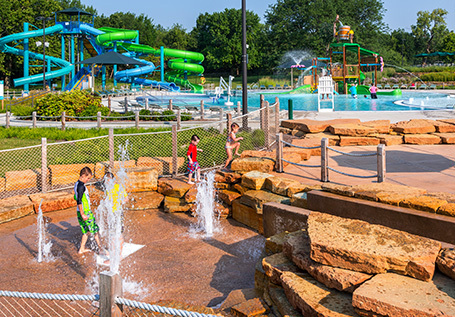 The Urbana Park District Board of Commissioners committed to replacing Crystal Lake Park Pool through the passage of a property tax referendum. With broad community support, the first step was to create a concept plan to estimate construction and operating costs of the pool and bathhouse footprint with its desired amenities. 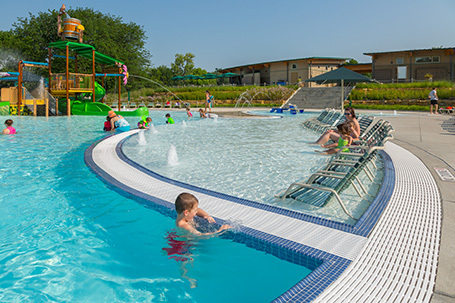 Staff and citizens worked together in studying other pools in operation to see how their amenities would best suit the citizens of the Urbana Park District. Counsilman-Hunsaker, in partnership with Ratio Architects, assisted the park district in the collection and evaluation of data and gathering community input. The team developed multiple concepts and analyzed financial impacts to act as a guide for the replacement of Crystal Lake Pool. Depths ranging from 3 ft. 6 in. to 6 ft. 6 in. Depths ranging from 12 ft. to 12 ft. 6 in.